TOKYO (Reuters) - Japanese online fashion retailer Zozo said on Tuesday it was expanding its offer of made-to-measure clothes using polka dot bodysuits, which help customers upload their measurements. Zozo, officially called Start Today Co Ltd <3092.T>, operates Japan's popular shopping site Zozotown and sells clothes from other brands. But it sees the future of online fashion retail in bespoke services, and has set up a made-to-measure service using the bodysuit, called the Zozosuit. The company is on track to ship a million Zozosuits to customers by the end of July, Chief Executive Yusaku Maezawa said, its second iteration of the suit after the first attempt was hit by production delays and high costs. By photographing themselves wearing the skintight polka-dot Zozosuit, users can upload their body measurements to ensure a perfect fit for the clothes that they order. "The time where people adapt to clothing is over, this is a new era where clothes adapt to people," said Maezawa. 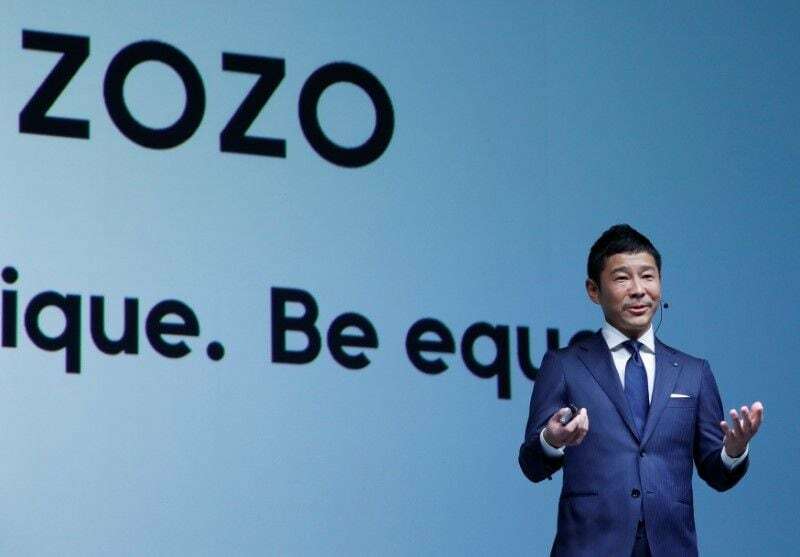 Zozo said it was adding business suits and formal shirts to its private clothing line, taking orders from Tuesday. The suits will retail for a limited time at 21,900 yen ($197.60), with a regular price of 39,800 yen. The Zozosuit and some private clothing line items are also available in 72 countries outside Japan. Maezawa sees overseas growth as key to the success of the private clothing line. Online fashion mall Zozotown's foray into selling into China earlier in the decade ended in less than two years. The company has set out ambitious targets for the private clothing line of 20 billion yen in net sales in the first year, rising to 200 billion yen in the third, with 40 percent of those sales overseas. By comparison, its total net sales in the last financial year were less than 100 billion yen. Success could see Zozo putting further pressure on Japan's fashion retailers hit by decades of price pressures. Shares of suit retailers Aoki Holdings Inc <8214.T> and Aoyama Trading Co Ltd <8219.T> closed down 7.4 percent and 5.5 percent, respectively. Zozo's push comes as transaction value growth slowed to 15 percent in the final quarter of the financial year just ended, compared with a 41 percent in the first quarter. Maezawa said Zozo was considering working with Shima Seiki Mfg Ltd <6222.T>, whose whole-garment knitting machines can produce seamless items of clothing, that company's shares jumped as much as 16 percent before closing up 5.2 percent. Maezawa, a former drummer in a punk band, grabbed headlines last year when he bought a Basquiat for a record $110 million, adding to his collection of contemporary art. Shares in the company, which will be officially called Zozo from October, closed up 2.6 percent, compared with a flat benchmark Nikkei 225 index <.N225>. Who Is Going to Succeed Arora as the Next Heir Apparent to Son’s Throne?